A 31-year-old Andre van Rensburg, ‘bespectacled, tousle-haired, informal, is a man possessed,’ writes Platter for the 1997 edition, started at Stellenzicht in late 1993 after a stint at Warwick. Having applied for the position earlier in the year, his appointment as the winemaker at both Stellenzicht and Neethlingshof was a last minute deal at two of the hottest properties in Stellenbosch. Neil Ellis was a consultant at the time and gave the owner, Hans Schrieber, full confidence that young van Rensburg could do the job. ‘I knew nothing about the farms or the vineyards,’ Andre confessed to me this week. But it seems he wasn’t short of talent, his former professor, Joel van Wyk, remarked on what a brilliant student he was and how he had ‘his own mind’ and always focused on quality. The 1994 harvest was hot and early and he realised that luck had to be on his side. One Friday in February, his Labrador came into the winery with a bunch of grapes in his mouth and, naturally, Andre gave them a taste. Rich and deep with flavour, there was an acidity and ripeness that he had never experienced. He was convinced it was going to be a great wine and by the end of the day he had found the block which happened to be right next to his new house. An 8-year-old block that produced thickly sweet berries with huge spice and dried herb intensity, he named the vineyard Plum Pudding Hill. Somehow Andre convinced the farm manager to pick first thing on Saturday morning – unheard of at that time – and he vinified it simply but added 10% Merlot for ‘fruit complexity’. It was then aged in 50% new oak barrels for 10 months and for a further 8 months in large oak foudre. 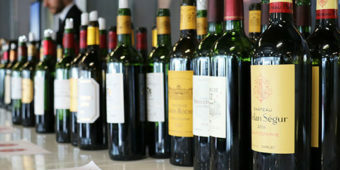 The wine reached an astonishing 14.4% alcohol and, due to its unique character, Andre applied to Sawis for the wine to be labelled as ‘Syrah’. As word spread through the industry of this amazing wine, it was entered into the SAA Shield Contest between Australia and SA. SA was hammered 78 to 21, with one of the few shining lights being Stellenzicht Syrah 1994 which placed third and beat Penfolds Grange 1990. Although it only received a silver Veritas, Platter did award it 2 bunches of grapes – Best of the bunch. Wine Spectator then followed with 92 points, which could easily be a 95 taking into account ‘score-flation’ and the low regard for SA wines at the time. This was the highest score for a South African red wine at the time. 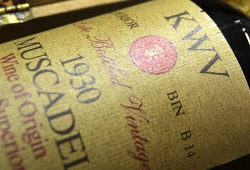 It was released at R55 per bottle; an astonishing price that was the highest in the land. 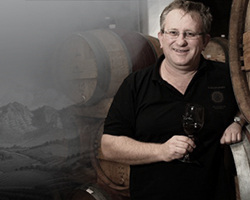 Van Rensberg made just 4 vintages before moving to Vergelegen and later vintages never achieved the acclaim or quality. Today’s version of the Plum Pudding is sadly made in a ‘porty-style’ and shows no resemblance to this rediscovered icon. Most remarkably, 23 years later, the 1994 is perfectly composed, fresh and complex. 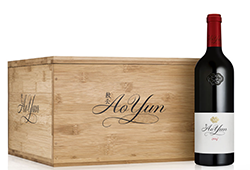 The nose shows pure red-berry fruit, hints of spicy oak and an underlying savoury meaty and dried herb complexity. The palate is structured, fine and long with a lovely balance that runs from start to finish. Not too dissimilar to the Wine Spectator note 2 decades ago. It will drink well for another 20 years. 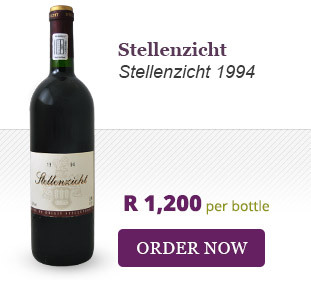 The 1994 Bordeaux blend, simply named ‘Stellenzicht’, is equally as fascinating, showing beautiful freshness and precision. 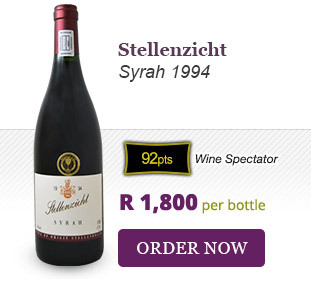 Wine Cellar has acquired a remarkable parcel of 1994 Syrah and ‘Stellenzicht’ in pristine condition. If you would like to place an order, please email Roland@winecellar.co.za.